Shana Falana’s music is a summer storm. It’s dark and heavy, but ultimately reveals itself to a brightness that leaves you feeling optimistic. 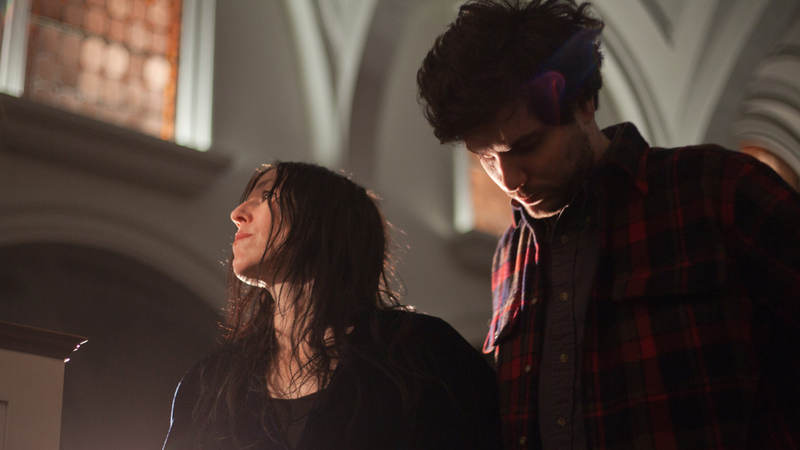 Today, the shoegaze band, comprised of psych-pop veteran Shana Falana and drummer Mike Amari, have released the visuals for their meditative track, “Cool Kids”. Shot and directed by Bon Jane, the video is lead singer Falana's ode to acceptance and feeling secure in your identity in light of the turbulent political climate. “This song, which I wrote last year, is about embracing yourself and letting go of judgements against others,” she said. The old school meets new school vid falls somewhere between a 70’s hair commercial and a workout VHS—in the best way possible. Featuring slow-mo shots of hair being blow-dried, stationary bikes, and lots of wavering rainbow flags, there's a lot to love here. In the middle of all the action, Falana can be seen sporting felt hearts, the same ones she will be passing out at the band's upcoming shows. In addition to releasing their new visuals, the two-piece are also going on a nationwide tour this fall. Their live performances have often been called “transcendental” so don’t miss out, people. On their 20-day run, Shana Falana are hitting major cities like Washington DC, Miami, NOLA, and Austin, before wrapping in Baltimore on November 22. Make sure to track them on Bandsintown, to get your chance to see them live!